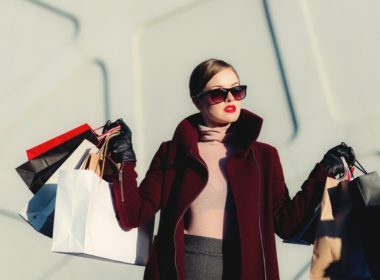 Since the breakthrough and highrise of e-commerce, the brick-and-mortar retail businesses have been looking at innovative ways to both attract and retain customers. In the past few years, retailers have consciously made greater efforts to create their own exclusive brand experience in fear of losing customers to online shopping. One of the ways retailers are upgrading their marketing efforts is through digital signage. A recent survey conducted by Mood Media found that 68 percent of customers said that they would be more likely to purchase a product advertised via digital signage, and 44 percent said that digital signage would influence them to buy the advertised product – as opposed to the product they already planned to purchase. On these stats alone, it’s no wonder more and more retailers are implementing digital signage into their store locations. Just as the e-commerce industry has made impressive growth, so has the pop-up and concept shop. According to PopUp Republic, the pop-up industry has grown to approximately 10 billion in sales alone. If you’re a New York City native, that number probably isn’t so shocking to you, considering there’s a pop-up shop (or two) on every block. Temporary store locations are taking on the traditional retail industry full force, and so is digital signage within marketing. It’s no wonder the two pairs perfectly together. As the holiday season ramps up, so are temporary retail locations, we’re listing five reasons to add digital displays in pop-up businesses. Retailers use signage of any kind, not just digital, to contribute to the atmosphere of their stores. The content for this purpose is conceptual in nature, meant to give a certain vibe or mood to the establishment. It may not even include any text. Think of a perfume commercial. What it depicts – a couple kissing in the grass, a horse galloping on the beach, etc. – conveys a mood or concept, without even mentioning or showing perfume until the end of the ad. Digital signage can achieve the same effect but in retail stores. Retail digital signage benefits a store’s atmosphere by making it immersive and memorable, especially through its ability to display dynamic content like video. It turns shopping into a feeling and an experience, not just a transaction. The retail digital signage benefit just discussed in #1 also makes it a highly effective branding tool. Traditional signage can achieve branding too, of course, but retail digital signage goes the extra mile by immersing customers in a brand. 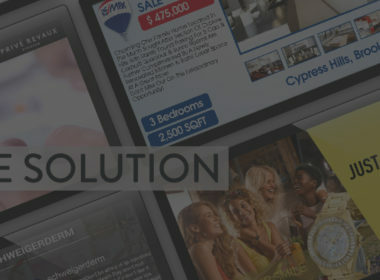 A single screen can display hundreds of photos or video containing an array of branding elements. Several screens placed all throughout your store will make your branding ubiquitous and hard to forget. Whenever you want to change anything up (and what business doesn’t need a little rebranding now and then? ), all that’s needed is a few clicks in your dashboard. Digital signage doesn’t just convey branding, it is branding. Digital signage doesn’t just convey branding, it is branding. It helps to portray your brand as modern, tech-savvy and ahead of the curve. Customers will not only remember who you are, but what you are. Products and collections are like brands within a brand. Of course, retailers want to sell all of their products, but they often need to bring attention to certain products or sets of products. This is especially true for clothing retailers, where items change with the seasons. Products and collections are like brands within a brand. Retail digital signage provides valuable benefits as a product marketing tool, with its ability to display countless graphics and video on one or many screens. A clothing retailer could use one screen to showcase their children’s collection and another to showcase jeans, for instance. Placing each screen next to its corresponding product or collection will help shoppers navigate the store as well. In addition to drawing attention to select items, retail digital signage allows retailers to demonstrate products and provide details in ways static signage cannot. 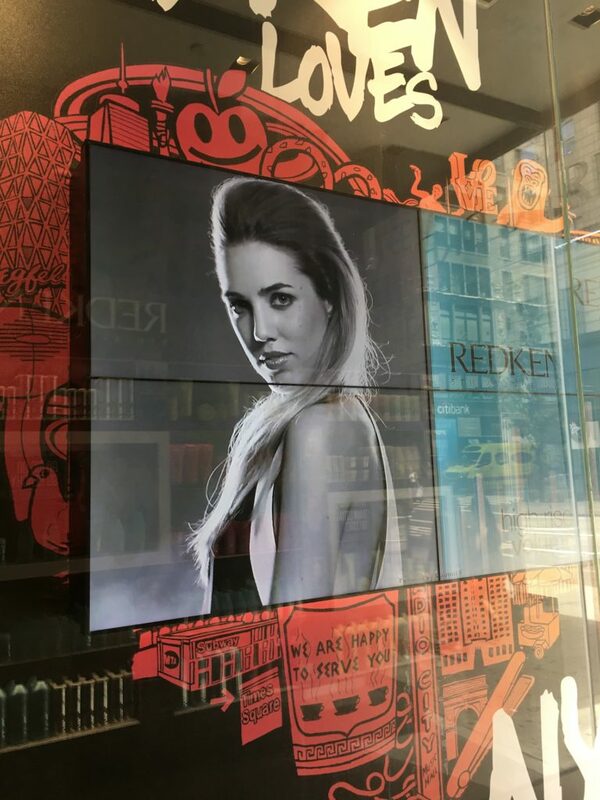 CrownTV client Redken does so in its Redken Gallerie retail store using video, showing shoppers how to use its various hair products through professional tutorials. It’s like showing a mini-infomercial within your store. They attract attention. Numerals are different in appearance than text, and that which is “different” stands out and draws attention. They’re easy and quick to read. Is it forty percent off or 40% off? They instill trust. Which brand would you trust more: One that says it’s offering a sale on select items or one that says it’s offering 15% off all back-to-school clothes? Precision = confidence. 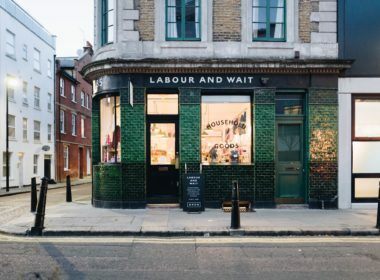 Promoting sales is particularly important for pop-up retailers since first and foremost they need to draw customers into their store before making any sales. How many times have you entered a store primarily because you noticed they’re having a sale? We all do it! Retail stores have been using static signage to advertise sales for centuries, but digital signage allows retailers much more control and flexibility over their content. Sales are temporary and subject to change. And static signage is…static. The effort required to put up printed signage is often disproportionate to how long a sale will last – and how long the signs will be up. Retail digital signage, on the other hand, does not require constantly putting up and taking down signs. Changing signage as one sale ends and another one begins only requires logging onto an internet-connected device. The effort required to put up printed signage is often disproportionate to how long a sale will last – and how long the signs will be up. 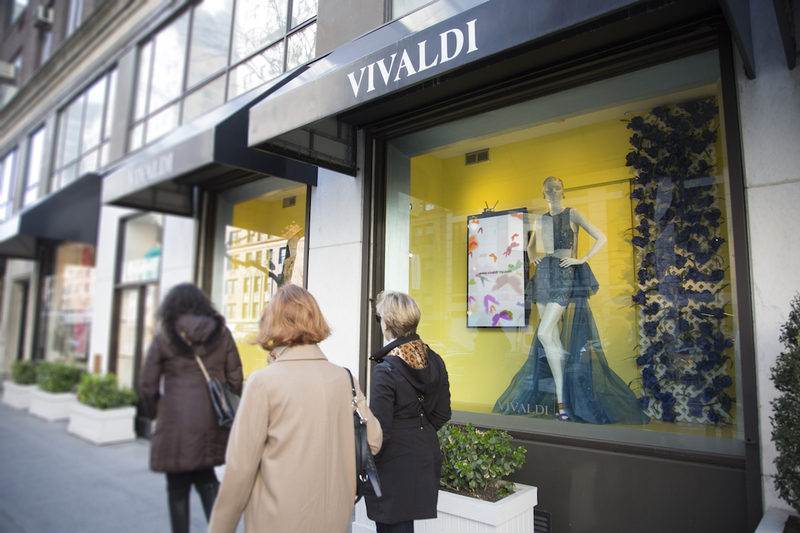 Advertising sales from storefront windows are one thing, but retail digital signage benefits brands and customers alike by reaching people when and where it matters. Digital signage tablet devices can be placed right at points-of-sale, like registers, to tempt customers into making last-minute purchases or taking advantage of a sale. Static signage can achieve this too, but it can’t show slideshows, offer detailed product information, collect email addresses or offer additional help as digitized displays can. Consumers are at the receiving end of advertising all day, but they’re rarely able to be part of the conversation. With retail digital signage, however, they can thank to the benefit of interactivity. Digital signage apps like social media walls, where customers can post on social media and have their post show up on your store’s screen(s), allow for more customer-centric, interactive content – a nice break from the one-way communications they’re used to seeing. In addition to being fun and exciting for customers who are in your store, social media walls help generate buzz and exposure for your company online. Encouraging audiences to use a certain hashtag or post relevant content doesn’t have to start online – it can start right in your establishment with digital signage. It answers the question of “what’s in it for me?” – and there’s something in it for you, the retailer, as well. 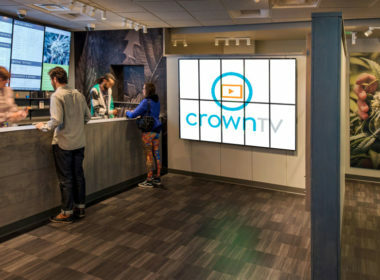 See pop-up specific retail digital signage and its benefits in action by requesting a demo of CrownTV’s digital signage solutions.